← Rightline Gear Receives Global Media Award! What is a D-ring anyway? A D-ring is a high impact plastic ring shaped like a capital “D”. 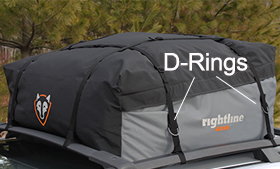 The D-rings are located on the sides of our Sport, Edge, and Ace Car Top Carriers, and our Car Top Duffle Bags and Car Top Golf Travel Bags. The D-rings serve as guides for our straps as the straps go up and over the carrier. The tension on the straps from one side to the other holds the carrier in place on the top of the vehicle. 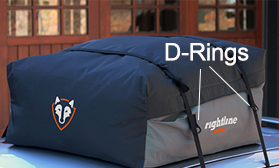 The function of the D-ring is the same if attaching the carrier with a roof rack, through the vehicle, or with Car Clips. The D-rings are not designed to be attachment points for the straps. Some of our customers have made this serious mistake. 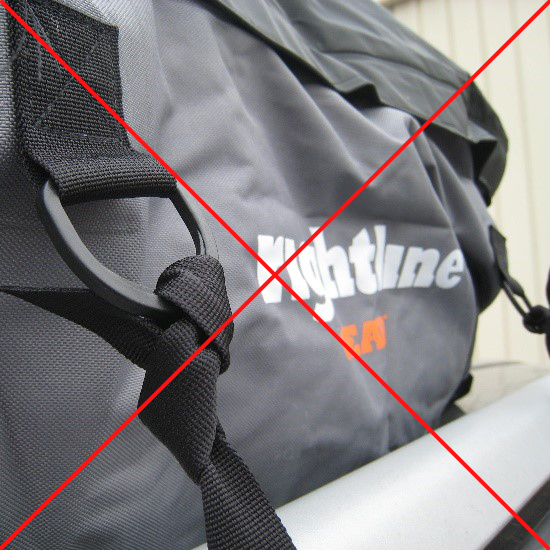 If the straps are attached to the D-rings, the force on the straps will pull the D-rings loose from the carrier and the carrier will fly off of the vehicle. 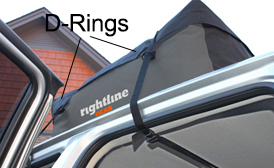 Please be sure to follow our Set Up Guides when attaching your carrier to your vehicle. Our customer service line is always open, Monday through Friday, 8am – 5pm eastern time should you have any questions. Please also note that our website features Set Up Guides with larger photos. We want your trip to fun and safe! This entry was posted in Car Top Carrier Tips and tagged car carriers, Rightline Gear, tips, car top carrier tips. Bookmark the permalink.